Wondering how to identify a U.S. gecko? Need more information on U.S. geckos? Want to see some cool close-up photos of geckos? You're in the right place. 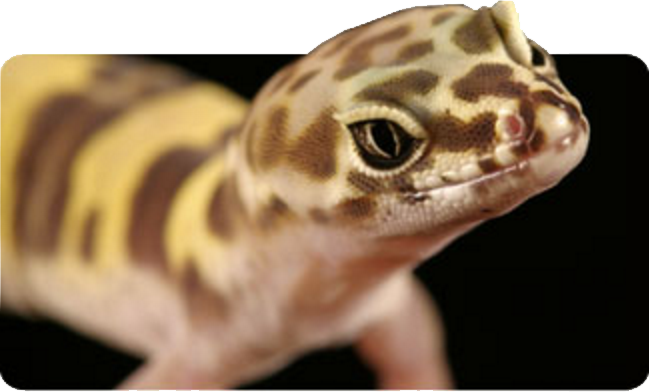 GeckoWeb is an easy-to-use, online field guide to the geckos of the United States. It has spectacular photographs and a simple interactive format to show the native and non-native geckos. It provides descriptions about their lives: the foods they eat, the places they live, and their unique habits. The user can easily identify a gecko they have caught or one they have seen. Or, the user can simply browse the beautiful pictures and information found here. While not quite fuzzy, geckos are perhaps the most charismatic reptiles—a wildly successful family of lizards inhabiting tropical and semi-tropical forests and deserts. Geckos are unique, because they vocalize—to attract mates and defend their territory—and many can climb trees, cliffs, walls and even ceilings using their special toes. They are skillful nocturnal hunters with huge, bulging eyes used to search for insects and other prey. As adaptable creatures, these 900 species have colonized most corners of the world, including the United States. Their adaptability, however, is not a guarantee of their long-term protection. Numerous geckos are considered vulnerable or threatened by state wildlife agencies. The California Coastal Sage and Chaparral ecoregion—the home of the San Diego Banded gecko—is threatened by livestock grazing, fire suppression and the expansion of farms and cities. View the profiles to learn more about this threatened species and learn how you can sponsor a gecko. Geckos include the smallest species of reptile in the world, the 1.3 in (34 mm) long Monito Gecko (Sphaerodactylus parthenopion) which weighs only 1/4000 oz. (0.12 g). Gecko toepads are so sticky that they have to flex their toes backwards to detach the pads each time they lift a foot. ​GeckoWeb is a project of Finding Species (FS). We are a nonprofit organization with offices in Maryland and Ecuador using photography and on-the-ground experience to spur understanding and conservation of threatened species and habitats. ​U.S. Geological Survey (USGS)/Biological Informatics Office maintains the Digital Image Library of the National Biological Information Infrastructure, which brings images within the reach of scientists, conservationists, decision makers, journalists, educators, students and the general public worldwide. The NBII is an electronic gateway to biological data and information maintained by federal, state and local government agencies; private sector organizations; and other partners around the nation and the world.